Alone at the top. Over to you, Manchester City. Liverpool faced off against Chelsea in Matchday 34 of the Premier League. This game was a deciding factor in the title race between Liverpool and Manchester City. 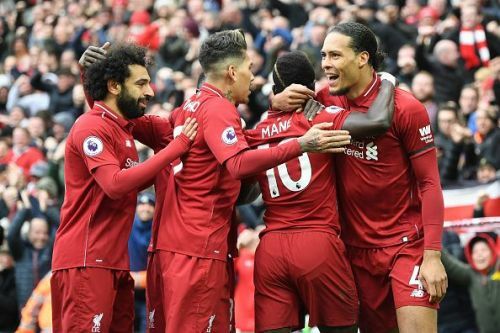 Since Manchester City had already won their Crystal Palace game before this one, Liverpool had the added weight on their shoulders to get the job done. Liverpool, though, hadn't won any of the last 6 home games against Chelsea in the Premier League. But also, they were unbeaten at Anfield for 37 consecutive games. Liverpool's starting 11 included Naby Keita in the midfield and Fabinho in a defensive midfield role, apart from the usual starters. 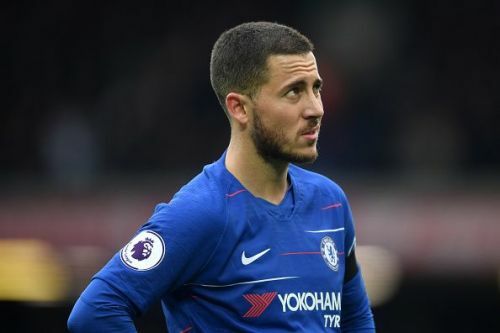 Chelsea dropped Eden Hazard as a false-9, as Hudson-Odoi and Willian flanked him, with Emerson and Azpilicueta as the fullbacks. Liverpool opened the scoring in the 51st minute through Sadio Mane's header. They doubled the lead up with Mohamed Salah's goal. Chelsea came close to equalizing on certain occasions but they didn't make the most of any chance. Liverpool, thus, still has a two-point lead on top of the table, over Manchester City, who have a game in hand against the Spurs. Let's look at three reasons why Liverpool won the game. Eden Hazard had the chance to score not one but two goals against Liverpool. One denied by luck, the other by Alisson. Not taking anything away from the solid defense of Liverpool, but they were beaten. They were beaten by Chelsea on more than one occasion. Eden Hazard was a constant threat looming forward. Chelsea had the chance to take the lead on the break on a lot of opportunities, but they just didn't. There was a golden chance for Willian on the counter-attack, with Hazard supporting him, and he also managed to beat van Dijk, but he fluffed the finish. It was a very routine finish given the space that he had at disposal, by his standards. Ruben Loftus Cheek had an opportunity on the counter-attack but he took too much time, thus the Liverpool defense was already back in position. The second half provided two great opportunities for Hazard. The Belgian first came agonizingly close to getting a goal back as his shot hit the woodwork. He then had another chance but this time Alisson Becker was in the way. Chelsea's wasteful finishing was a major factor in Liverpool's win.